Robotics aficionados can never forget the AIBO (Artificial Intelligence Robot) - a cute robo-dog that Sony had introduced several years ago. It won hearts and media attention world over with its smart gestures. Sony however, did not pursue AIBO's development. 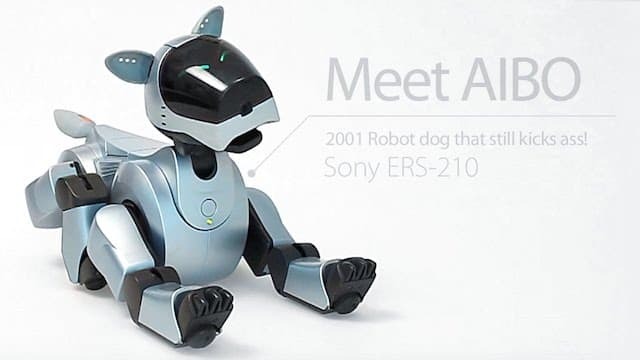 Now, almost twelve years after, Sony is relaunching AIBO and this time it's equipped with superior AI and Internet connectivity. It's expected that we'll see the new avatar of AIBO sometime around middle of 2018. Sony's has proven expertise in Robotics. The company is now looking to enter the US markets with solid product line to appeal large number of audience and compete with established players like Amazon and Google. According to report published in NIKKIE, AIBO will be able to take voice commands and control connected home appliances. In an attempt to revive AIBO, Sony has assembled a group of electronics and mechanical engineers and is also looking at developing a new operating system to enable AIBO to respond to voice commands and maybe, sometimes act as a dog. Sony seems to be exploring a new product line. Some of you may recall that AIBO development was stalled back in 2006, because it didn't fit properly into Sony's business plan. Maybe AIBO was too ahead of its time about a decade ago. Sony's CEO, Mr. Kazuo Hirai had suggested that Sony is looking to venture into development or industrial robotics. Perhaps switch to in-home robotics could be a strategic decision taken by Sony. If Sony does make its moves right, AIBO could be a serious threat to Amazon and Google. It'll be an interesting battle to watch and we promise to keep you up to date.